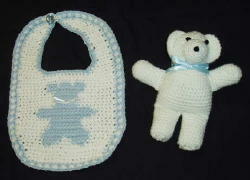 My favorite baby afghan pattern is the Jamie blanket from the Jamie yarn wrapper. 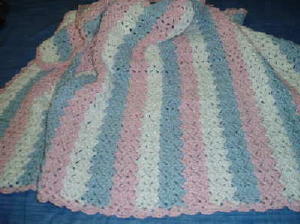 The pink/blue afghan is made with Lily Sugar Babies. 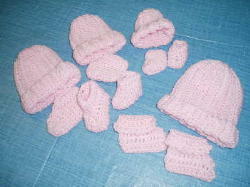 Sugar Babies is a little heavier than acrylic yarn would have been, but it is nice and soft. 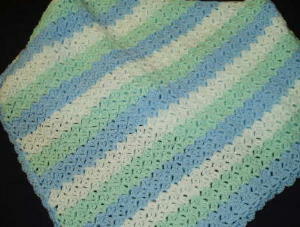 It made a wonderfully soft afghan. 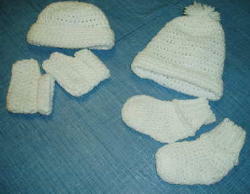 and Bernat Softee Baby in white and her jeans ombre. 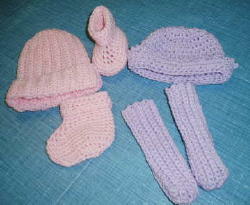 Sadly, the picture just doesn't show how pretty the colors of this yarn are. 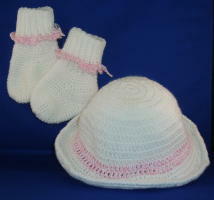 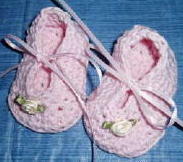 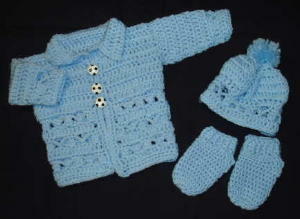 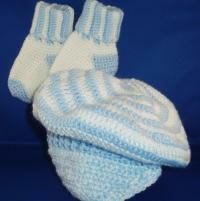 Hats and Booties made for Charity.